Ever wish there were two of you to run your dojo? Me too. I’ve often wished I could clone myself, so I could be on the floor, in the office, and out marketing, all at once. 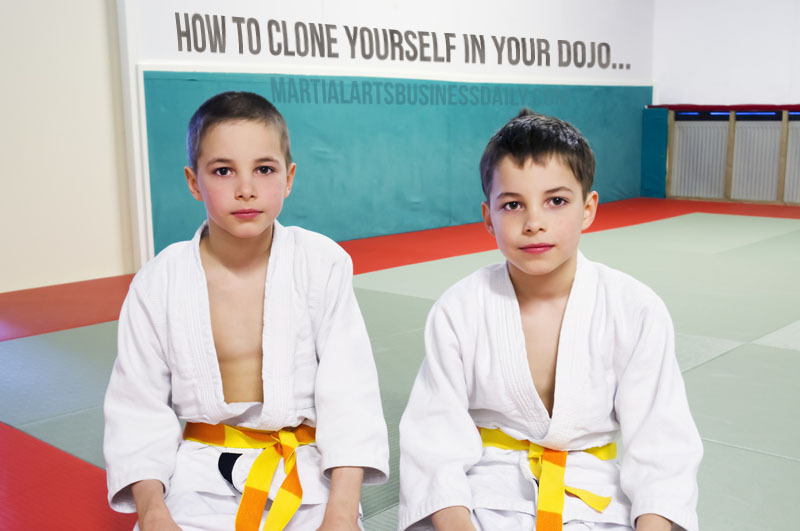 Obviously, you can’t clone yourself – but you can hire and train qualified staff members to be the next best thing. Having said that, you should know that I’m a strong proponent of a school owner becoming the best at every job in the school. That includes everything from taking phone inquiries, to enrolling students, to teaching classes and mat chats, to renewal conferences, to knowing how the bathroom should be cleaned. But, you don’t want to do all those jobs forever. Maybe when you’re first starting your school, you’ll have time to do it all yourself and your budget will dictate it. However, at some point you need to start replacing yourself. Because if you don’t, you’ll never have a life outside of your dojo, and your studio will never grow past 75 or 100 students. So, how do you replace yourself? In my opinion, the first “you” that you need to duplicate is “front office you.” You need to hire and train someone to handle the phones and enroll students when you’re out on the floor. And, it can’t just be anyone. It has to be someone who is trustworthy and sharp, and who believes in your mission. When you find that person (for me, it was my wife) then you have to train them. And that’s where a lot of school owners stumble, because they don’t have systems in place for replacing themselves. See, in order to replace yourself you have to train someone to do the job you once did. For non-critical jobs (cleaning toilets, etc.) you can train them at a minimal level of competency. But for mission-critical jobs (handling the phone, teaching intros, enrolling students, etc.) you must train that person at a very high level of competency. 2. You can have systems in place that do the bulk of the training for you, and then fine tune your staff’s skills with short strategic coaching sessions. As you can imagine, training your front office person one-on-one without systems in place can take a tremendous amount of time and effort. But, if you have a system you can just hand over to them to teach them the critical tasks… well, that’s how you free yourself from 90% of the work in training your front office personnel. BOOM! You’ve just cut out 90% of the time it takes to train a front office person, so you can spend that time doing other high-ROI tasks. At that point, you can spend the bulk of your time evaluating and fine-tuning what they’ve learned, instead of spending hours personally imparting the rote basics to your staff. That, my friends, is working smarter and not harder. 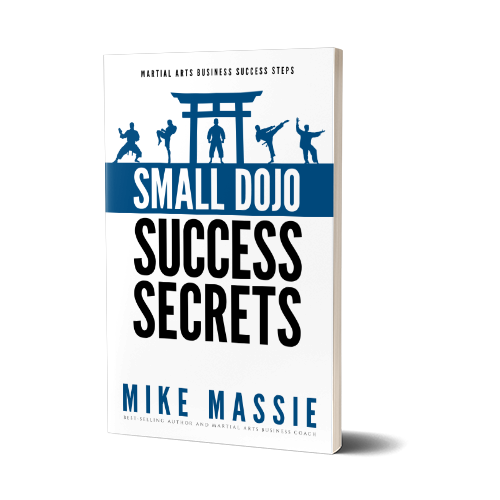 It’s also how I’ve been able to run successful schools and still have a life outside the dojo for the last two decades. I strongly suggest that you start with hiring training a front office person for your school. Hiring and training a reliable person to answer the phones, set appointments, and enroll students while you’re on the floor will change your life (just make sure you know how to do all those things at a very high level of skill before you attempt to hire someone else to do it).